The club organises activities every Saturday throughout the year. The majority of our walks are between 10-12 km during the cooler months. Shorter walks - usually 8-10 km and/or Social Activities are held in the warmer months. 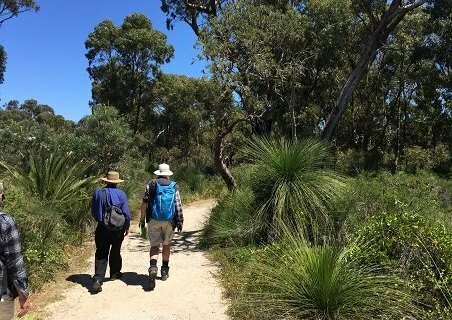 Most walks are conducted within 100 km radius of Perth. Current age group ranges from 40+ to 70+ years. A Visitor is required to complete an Easy or Easy/Moderate Walk first, then three walks of choice as an Approved Non-Member, before being considered for Ordinary Membership. We are basically a friendly walk and talk group. Our walks are strictly limited to a maximum of 20 attendees. Hiking Club of WA activity.